InterTradeIreland has joined with Northern Ireland Chamber of Commerce and Industry, the Federation of Small Businesses, Institute of Directors and Invest Northern Ireland to host this free event on Tuesday 16 April 2019 at Titanic Belfast. 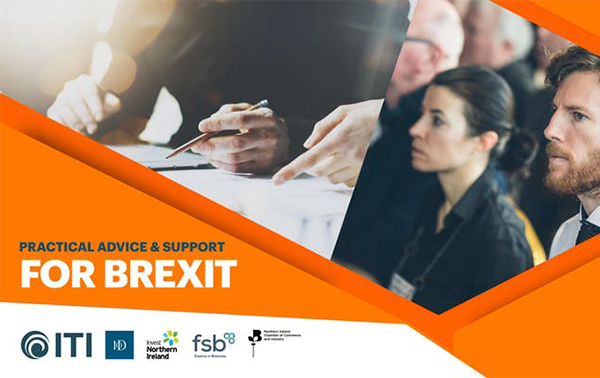 The event will focus on pragmatic steps businesses can take to prepare for Brexit and will highlight information on available support and funding. The plenary session will be followed by the option to visit five advice zones. These will consist of specialist advisers who will be available for brief consultations for businesses to receive advice. Register for the Brexit conference.